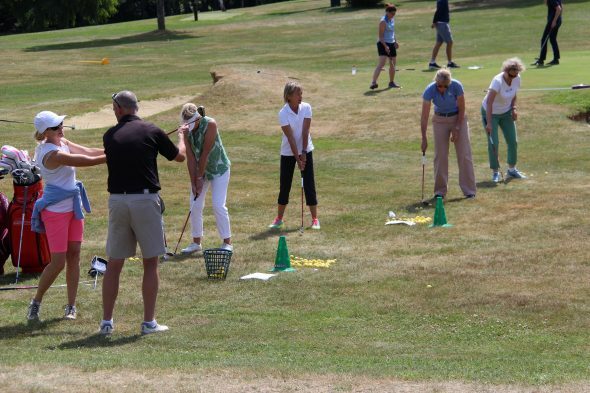 The taster day, which runs from 9am to 4pm, will be broken up into one-hour sessions for adults and juniors with a soft introduction to the sport, including long game, chipping and putting coaching from Foxhills’ team of professionals. The membership, which is open to all ages, includes specific group coaching from professionals, unlimited driving range balls, full use of the practice facilities, a 10-per-cent discount from the pro shop and unlimited use of the club’s Manor course. Although the par-three course is a challenge in its own right for even the most experienced golfer, it’s an ideal course to hone the basics of the game, in superb condition and in a fantastic setting. The second year of membership then allows for progression to include access to the resort’s two Championship courses with twilight rounds included from Sunday to Thursday on both the Longcross and the Bernard Hunt for an annual fee of £1000. Foxhills director of golf, Chris Fitt, said: “It can be intimidating to join any golf club but we want to welcome as many new golfers as possible and make them feel welcome. “It’s not the easiest game to pick up immediately, so every golfer has gone through the learning curve at some stage. This scheme lets new golfers learn at their own speed and offers the support and guidance along the way. “Some new golfers walk away from the sport before they get to the point where they feel comfortable and enjoy it. So this is all about keeping their interest, offering encouragement and giving them a helping hand.